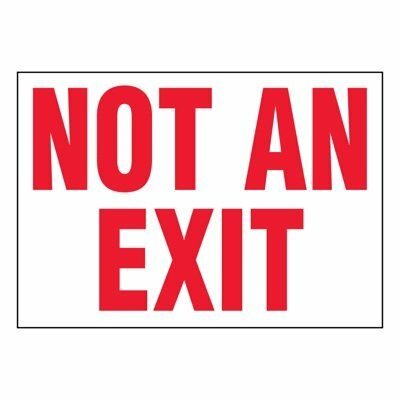 There are state and federal regulations that specify how and where Exit Signs must be located within a building structure. However, there are also regulations concerning doorways and passageways that might be mistaken for exits or leading to exits. 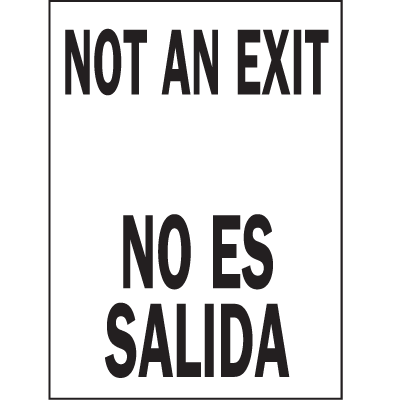 Inform people of the difference with the proper NoT An Exit Signs from Seton. It is always important to minimize potential dangers that confusion and misinformation can cause, especially during emergencies. 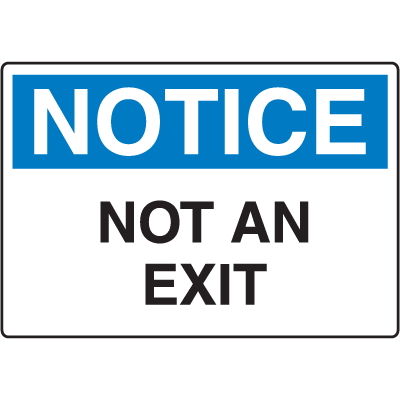 Make sure to clearly mark doors in your facility that do not lead to an exit with the proper OSHA notice signs. 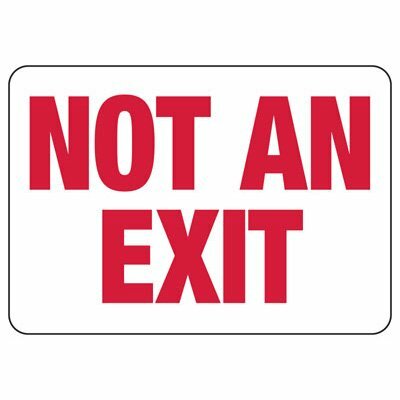 Help people find the right way to exit a building structure and prevent them from taking the wrong entry ways. Choose the best safety signs from Seton to meet your requirements. Make sure your facility stays compliant with building exit regulations. 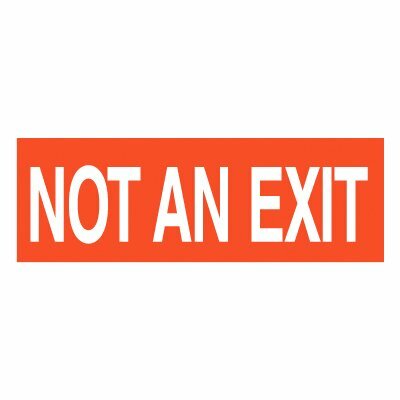 To ensure the safety of employees and visitors in establishments, the Occupational Safety and Health Administration (OSHA) implements specific regulations regarding exits and exit signs in a building. In these regulations, buildings are required to have sufficient exits that can allow safe and quick escape of occupants during an emergency. 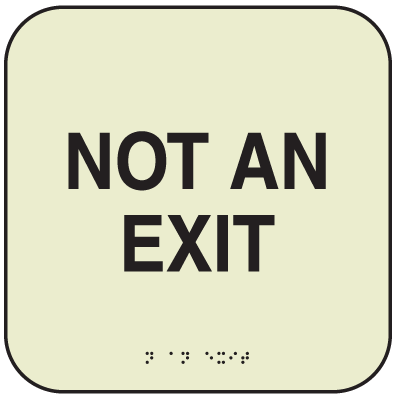 The importance of having the proper exits is such that buildings which are under construction may not be occupied, even partially, before the necessary exit facilities have been completed and ready for use. 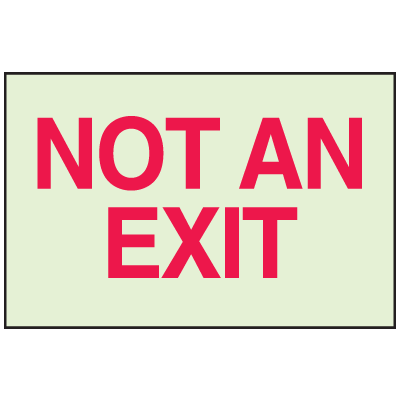 Indicate the correct exit ways in your establishment with the proper directional signs. 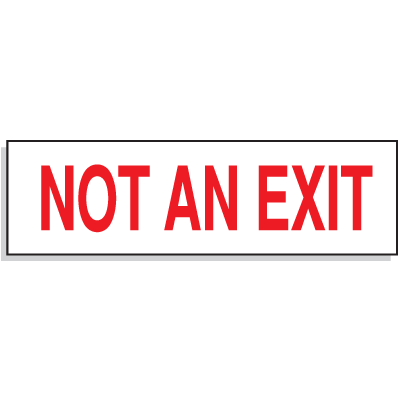 Exits are meant to provide unobstructed egress from the structure whenever necessary. As such, every exitway should be clearly visible or have the route leading to it clearly marked. The means to an safe location outside your facility should be unmistakable, so that every occupant may be physically and mentally capable of accessing them at any point.